ACKS Cleave specifies that the next foe has to be within 5' of the fighter, which I think is how 3e had defined it. Thanks for the clarification on the source; as a riff on Arneson it makes more sense. 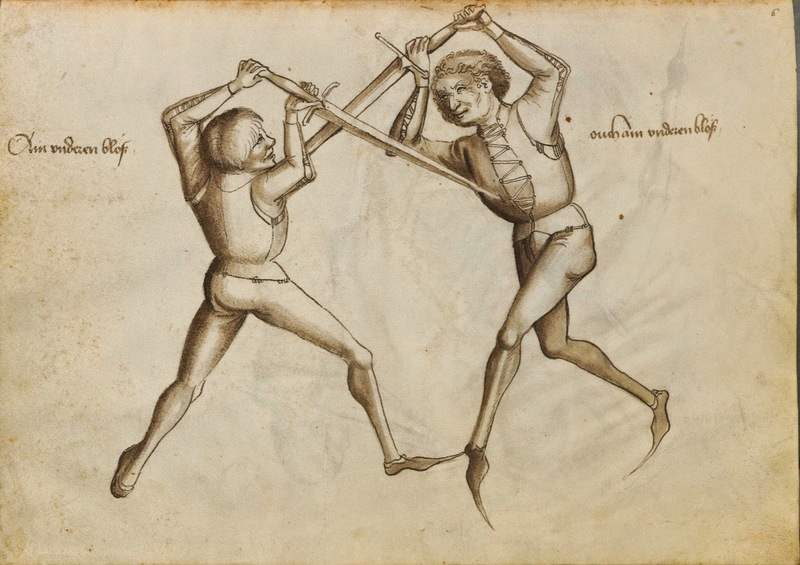 Backswords & Bucklers, in addition to the one attack per level against opponents of 1 HD or less, also gives fighters the ability of Experienced Eye, which means a fighter can try to assess whether an opponent has more or less HD than himself or herself by making a saving throw at the start of combat. 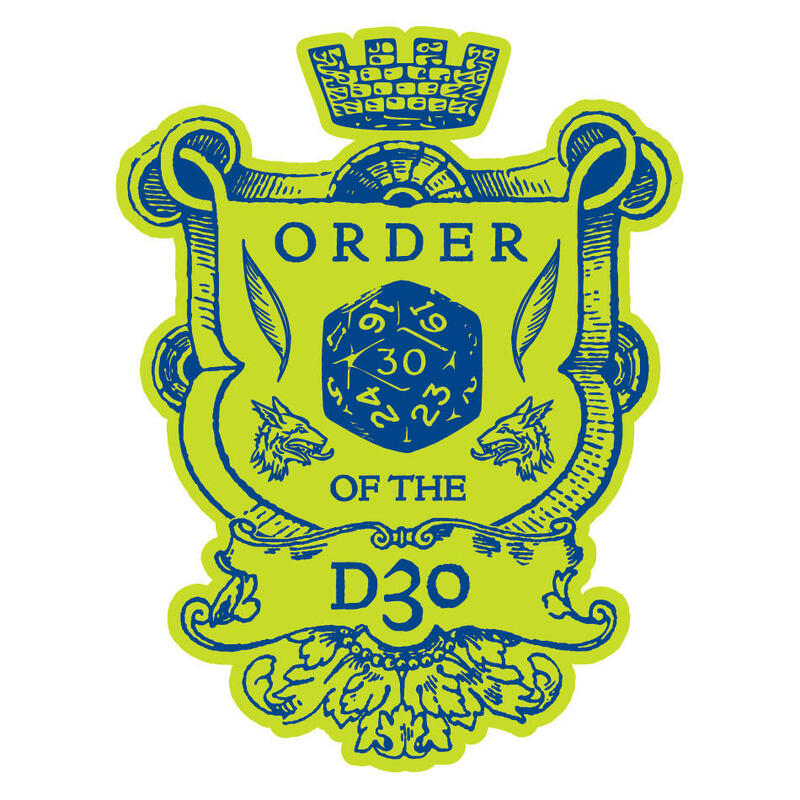 To be honest, I'm a proponent skill systems, and one thing that struck me after 3E introduced a unifying mechanic (d20) and a thorough skill system was how fighting really could be treated as just another skill, or group of skills - but wasn't, and still isn't. Instead, it's partitioned off. Why not make fighting into a group of skills? Light weapons for called shots, heavy weapons for cleaving, ranged weapons for shooting, punch skill for monks, grappling skill, etc., to whatever degree of granularity you desire. Perhaps there's a "tactics" skill that encompasses the Battlefield Eye thing as well as other maneuvers like attacks of opportunity, flanking bonuses, etc. Then make *all* fighting skills into "class skills" for fighters, make only one or two of them at most class skills for the other classes (e.g. rogues/thieves/specialists get only light weapons; clerics get only heavy weapons, etc. ), and let everyone decide how much they want to balance their fighting with their Lore and their Climb and their Bluff and so on. That solves the LotFP "only fighters ever get better at hitting stuff" problem; it gives you a stat to hang your mechanics for called shots and cleaving on; it creates meaningful choices for the players; it allows a wizard to have decent skill with a longsword, and so on. I'm not a proponent of skill systems at all, to be honest, and wouldn't want to do this kind of breakdown. I prefer these things to be there for the whole fighter class rather than making it a skill-based set of choices. The designers of 3e talked about this and they found that everyone would just max out all their fighting skills anyway so there wasn't much point. Wayne R. - I suppose someone using skills could just give fighters enough skill points to get all the fighting skills plus one mundane one, and a player who wanted to model a "pure military" type could, while people who wanted to be able to do anything else would simply specialize. That said, whatever play style works for you, works for you. 1. 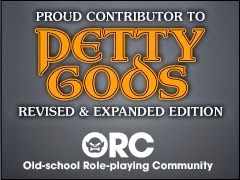 Build a system that gives XP rewards for something other than killing monsters - one of the problems with 3E (IMO) was that they got rid of XP-for-gold, and thereafter most XP seemed to come from combat... encouraging a "kill everything" mentality, which in turn encouraged a mentality where any foe that couldn't just be stabbed to death was somehow "unfair" and shouldn't be used. 2. Encourage unbalanced encounter design, so that some challenges can be defeated without the need for an "optimized" character "build," while others *must* be faced in a way other than head-on. 3. Break up "fighting" into a mix of skills, allowing fighters to excel in a few fighting styles while discouraging them from being only about combat. This might also solve the silly problem 3E fighters had where they ended up carrying around one of every kind of weapon just to have an optimal "damage type" available for each encounter. You mentioned the Empire of the Petal Throne damage rules (which you know I'm a fan of) but it surprises me that I haven't found a single clone that uses Arnson's excess damage rule in place of cleave. I've found this to be a great equalizer between the fighter and magic-user, allowing the fighter to deal with large crowds of low level monsters very effectively. Something only magic-users can do in most older versions of D&D. A simple solution to the "linear fighters, quadratic wizard" problem. The alpha rule set for my 0e homage uses over-damage (an extra die) when you roll four better than the to hit number. Fighters also cleave indefinitely, and can move "nearby" rather than a set number of feet. I can imagine the whirlwind attack from Diablo 2. Fighters and paladins get a very generous +1 BAB per two levels. I did take inspiration from EPT's attacks vs hit dice table even though there's no table as such. Since combat is on two six siders and not on a 20, these advantages are really hard to eyeball versus a 20 system. The fighter does go a little quadratic. That's good. My Fighter cleave is extra silly because you get +1 to hit and damage for everyone you cleaved through that round. Really clears out the little guys. I picture it like Axe from dota. Moving a short distance between attacks is also allowed so you can whirl through the zombies and behead the necromancer if you're lucky. I haven't noticed much of an issue with LotFP's fighter-only attack bonus. Considering AC is generally capped at the big 18 (although the plate armoured Halfling in my game is currently a 22 AC monster) it saves on the classic item bonus arms race. Everyone is at low levels though (someone got to level three!) so maybe it gets more overpowering, but considering the prevalence of unfightable unique monsters in classic LotFP they're only really getting better and better at killing human beings.